Modern chain hotel right in the city center. All rooms are equipped with air conditioners, mini-bars. Room service is provided. Buffet breakfast is served daily and is included in room price. It will take you 20 minutes to get to the hotel from the airport. And the hotel is in walking distance to the major city sights. AZIMUT Hotel Siberia has spacious conference and banquet halls up to 100 persons fully equipped with all modern equipment. Dear Guest, thank you for taking the time to write about us. We really appreciate your opinion. Welcome to AZIMUT hotel Siberia. Faithfully, general manager AZIMUT hotel Siberia, Sergey Kondratenko. Dear Guest, thank you for taking the time to write about us. 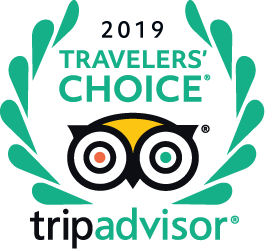 We really appreciate your opinion.Welcome to AZIMUT hotel Siberia. Faithfully, general manager AZIMUT hotel Siberia, Sergey Kondratenko. Great place almost in the centre of the city at reasonable price. Walking distance to many attractions. Great customer service at the reception and cleaning service. Modern quiet room. Exceptional breakfast. вечное зеленое свечение в номере. "Just ask for a SMART cattegory room, and not the road view :)"
"Choose a room in the higher levels"
"No real tip for choosing a good room"
"Further down the hall, away from the elevator"
"There are some other hotels in Novosibirsk )"